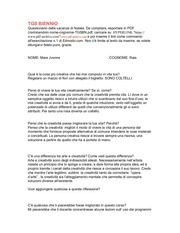 This PDF 1.4 document has been generated by Writer / OpenOffice 4.1.1, and has been sent on pdf-archive.com on 07/01/2017 at 15:46, from IP address 37.176.x.x. The current document download page has been viewed 240 times. volta a non dormire e un'altra a non mangiare fino al crollo fisico. di casuale ma un progetto. potrei esprimermi su quel che mi piacerebbe affrontare. This file has been shared by a user of PDF Archive. Document ID: 00532909.